Medical Disclaimer: The content of this post is for informational purposes only. The content is not intended to be a substitute for professional medical advice, diagnosis, or treatment. Always seek the advice of your doctor or qualified health professional for doubts and questions. Cannabidiol, more commonly referred to as CBD oil, is breaking new grounds in the healthcare industry. It is being touted as a cure for chronic pain, depression, arthritis, and a broad range of maladies in many health and wellness websites on the internet. Studies regarding its benefits and side-effects are still nascent, but early research is very promising. Though CBD is derived from the same Cannabis Sativa plant as Tetrahydrocannabinol (THC or “weed”), it is nonpsychoactive. That is, CBD oil does not get you high whereas THC does. 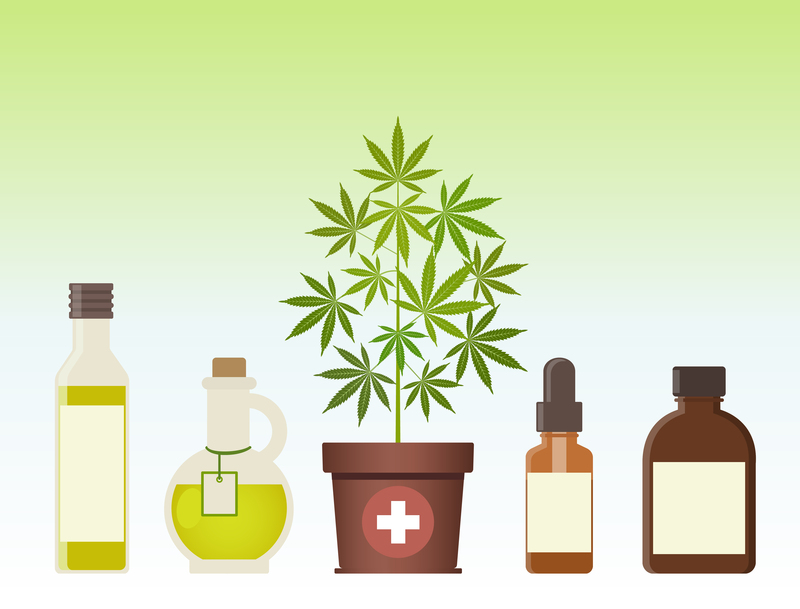 Unsurprisingly, CBD oil has been receiving massive attention in recent years given all the potential health benefits it may possess. The question is, can it help with pesky skin problems too? Recent research from the American Academy of Dermatology (AAD) suggests that it most certainly can. 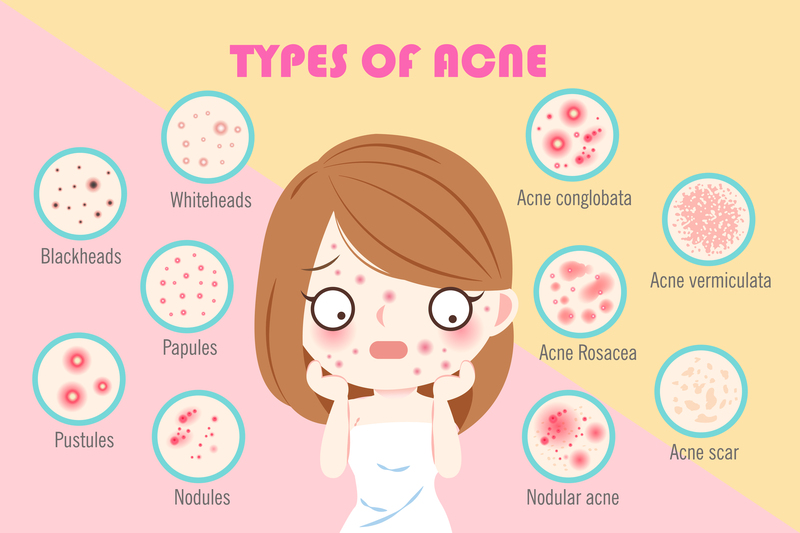 Acne is a very common skin problem (especially among teens) that occurs when your hair follicles become clogged with oil and dead skin cells. 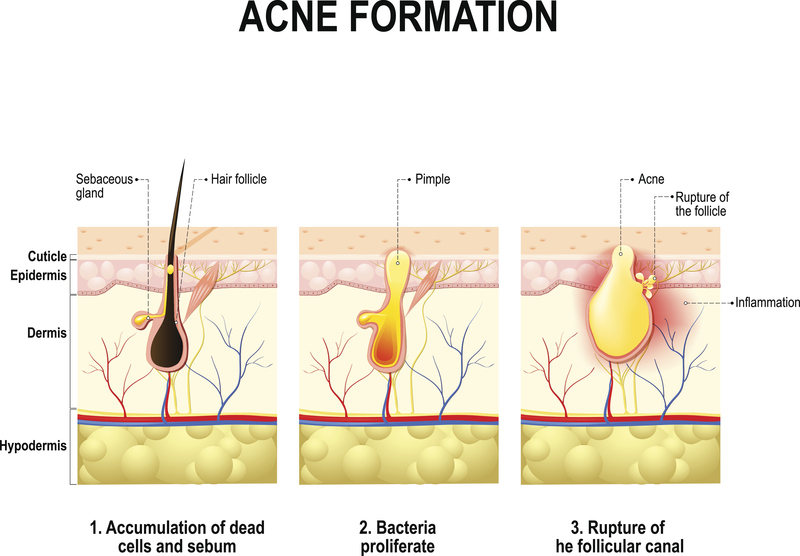 Excessive oil secretion, bacteria, and unregulated production of Androgens (a hormone) are all major contributing factors to Acne development. It is a chronic (long-lasting) skin problem that can be managed with treatments like antibiotics, topical creams, and so on. But these conventional treatments often have a lot of side effects and are bad for your long-term health. CBD, however, is generally well tolerated and considered safe. The sebaceous glands and hair follicles contain CB1 and CB2 receptors, just like many other organs in our body. These receptors communicate with the nervous system to trigger diverse effects, such as reduction of inflammation. 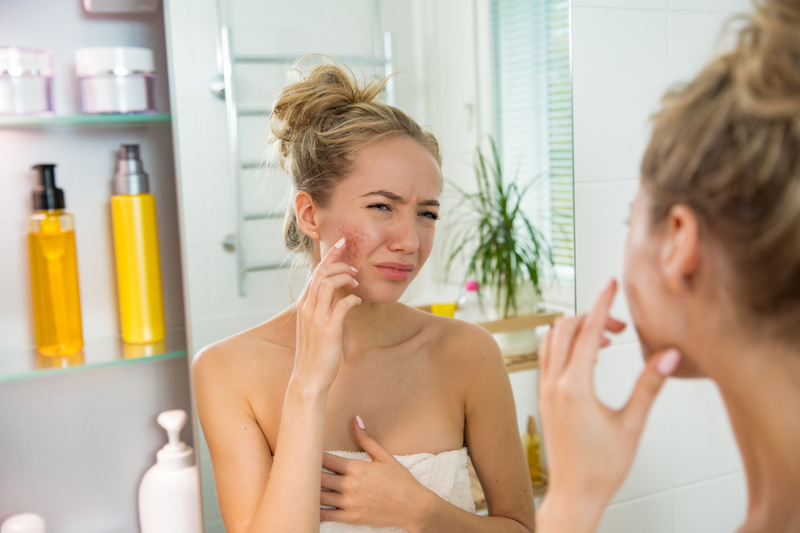 CBD oil can decrease acne because of its anti-inflammatory characteristics that act to reduce the visible inflammation induced by clogged hair follicles. It stimulates the endocannabinoid system, which includes anandamide, a neurological transmitter that regulates cell growth. If not balanced, it can negatively affect the skin. CBD oil also helps inhibit excessive oil secretion, which is one of the principal causes of acne. Another benefit of CBD oil over prescription medications is that it solely targets the problem-causing cells. It does not affect the healthy cells thus reducing side effects such as dry and irritated skin. 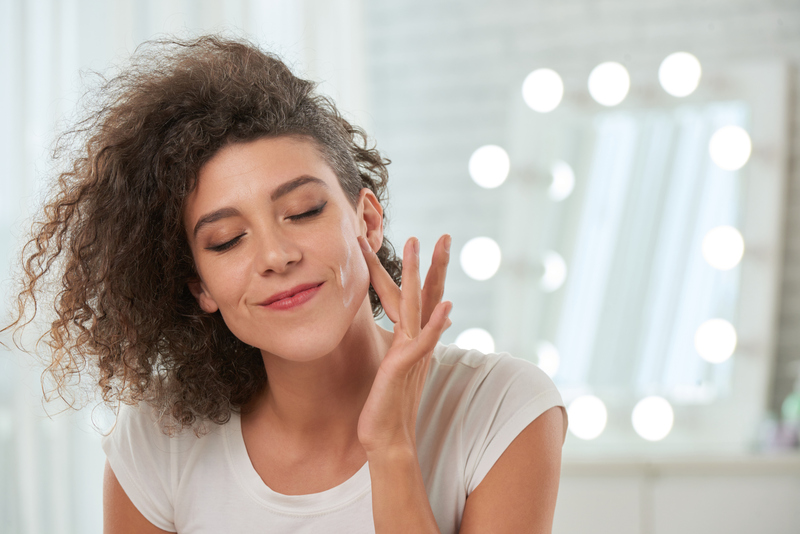 The easiest way to use CBD oil for acne is in a topical form, such as a cream or lotion. But you can also take CBD oil supplements in the form of pills. Eczema is another very common skin condition that causes the skin to become dry, itchy, red, and cracked. It is often recurring and chronic. There are numerous treatment options but unfortunately, there is no cure. The cause of this skin malady is not very well understood yet. Conventional treatments such as topical steroid creams (corticosteroids) have shown mixed results. Also, prolonged use of such creams causes undesirable side effects. However, according to the National Eczema Association (NEA): “It has long been observed that cannabinoids possess anti-inflammatory, anti-microbial and anti-itch qualities” with research dating back to the first textbook of dermatology referencing a use for cannabis in treating skin conditions. The anti-inflammatory and anti-microbial properties of cannabinoids applied topically may help improve eczema. According to researchers at the University of Colorado, CBD can be used as a natural alternative to commonly-used steroids. Several researchers maintain that CBD offers immense potential in regulating natural skin processes. 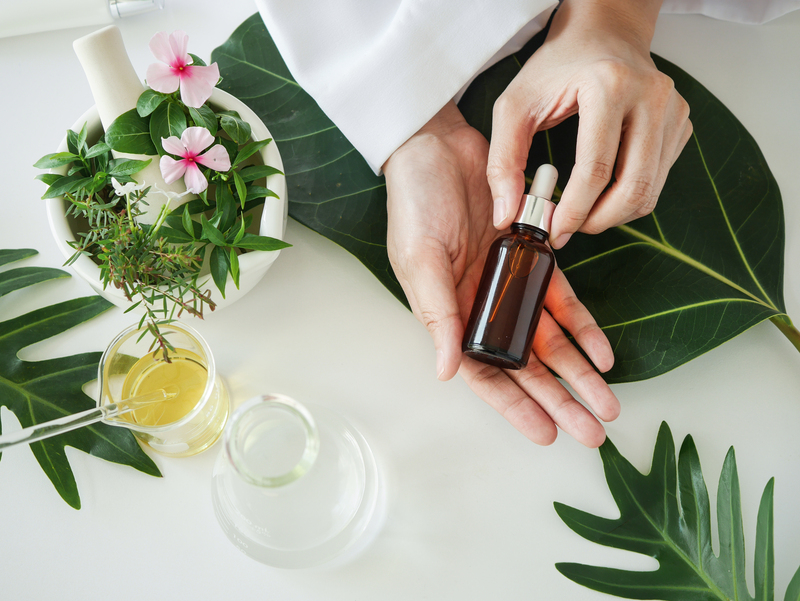 Besides, the new topically-applied treatments of CBD have already been cleared by the World Health Organisation (WHO) as having no potential for abuse or harm, as various clinical trials have marked positive outcomes on the symptoms of Eczema. CBD oil for eczema can also be taken in the form of capsules or sublingually. Rosacea is a common chronic skin condition among people with fair skin. 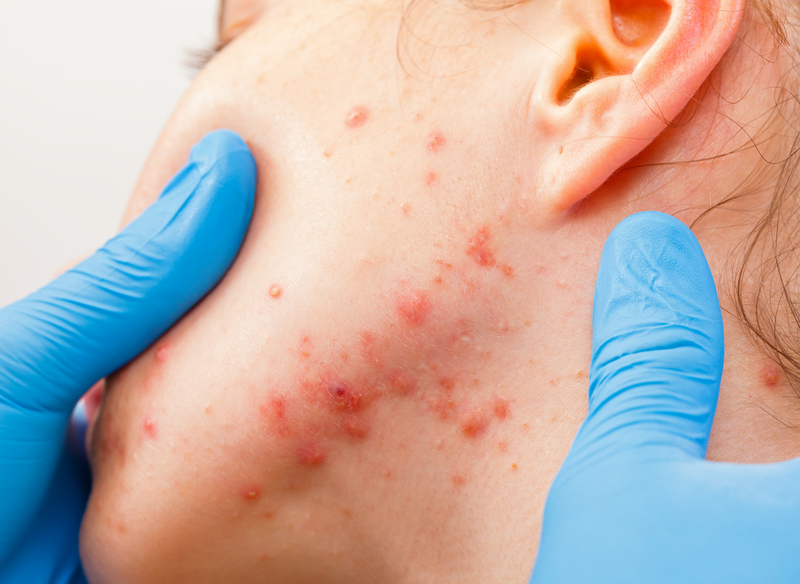 Its symptoms are facial redness or “flushing” of the skin, which is often accompanied by small, pus-filled bumps or pimples. It can also cause red, watery eyes; dry, swollen skin; and a burning or itchy feeling. This very visible affliction is often the source of low self-esteem and social anxiety. As in the case of eczema, rosacea has no known cure. However, its symptoms can be controlled with a variety of approved treatments such as oral or topical antibiotics and steroidal creams or gels. Again, these treatments are long-term, so there are bound to be some side-effects. Constant use of oral antibiotics can cause stomach ailments like nausea, and topical antibiotics can lead to more skin problems such as itchiness, inflammation, and hives. Also, long-term use of steroidal creams can worsen the symptoms. Because cannabis is a powerful anti-oxidant and anti-inflammatory, CBD oil can help decrease the redness and inflammation. Stress and anxiety often trigger flare-ups, but they can be better managed with the use of CBD. A study conducted by the University of Bonn, Germany, in 2013, uncovered that the topical administration of THC helped decrease the symptoms of inflammation which are allergy-induced. The researchers concluded that this has “important implications for the development of future strategies that use cannabinoids in the treatment of inflammatory skin diseases” such as rosacea. So, the best way to use CBD oil for treating rosacea is the topical administration of creams or ointments. Oral administration of CBD oil can also be very beneficial. Another itchy and often painful skin condition is psoriasis. It occurs due to rapid overproduction of skin cells that build up on the surface of the skin. Occasionally the skin patches can crack and bleed. 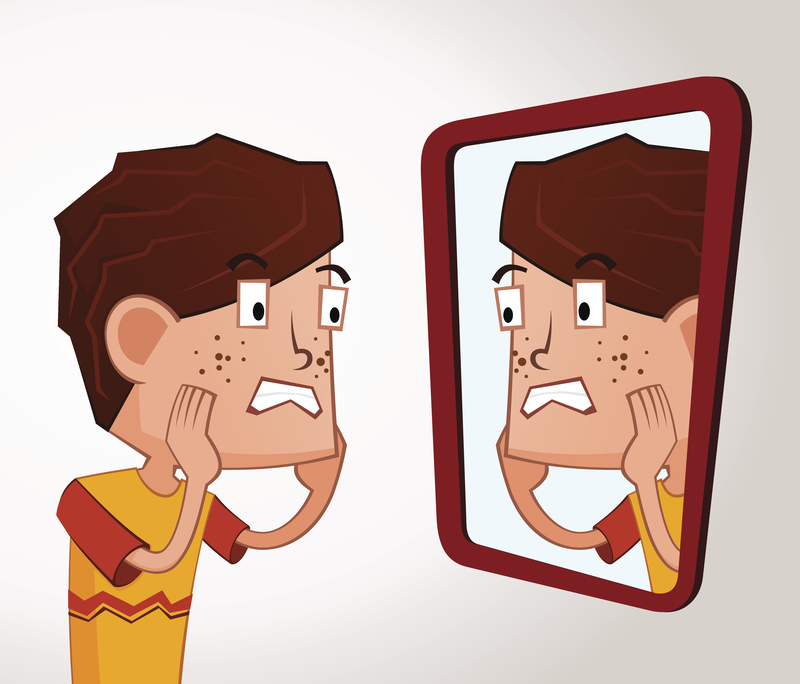 People with psoriasis may also experience swelling and inflammation in other parts of the body. Unfortunately, psoriasis too is a chronic skin condition, currently without any cure. Its treatments include steroid creams, occlusion, light therapy and oral medications, such as biologics. But again, all the treatments are having a long-term administration which results in them becoming less effective over time (along with side-effects). A 2007 study published in the Journal of Dermatological Science observed that CBD may offer curative value for psoriasis by slowing down the overgrowth of certain skin cells. Also, a 2016 review supports the idea that cannabinoids may prove to be useful for the treatment of psoriasis. Anecdotal evidence shows that topical CBD oil supplies a significant volume of moisture to the affected site which helps heal broken and cracked skin. Moreover, the anti-inflammatory qualities of cannabidiol alleviate the burning and flaking of patchy skin, reducing redness and dryness almost instantly. Injury or infections to your skin can produce flare-ups, but the antioxidant components of CBD oil can mitigate the infection that aggravates the conditions. Cold sores are caused by the herpes simplex virus (HSV-1) which occur in the form of tiny, fluid-filled blisters on and around your lips. They are contagious and spread easily by casual contact. Thus, they are very common. They usually resolve by themselves within two to four weeks, however, the virus remains in the bloodstream and can be reactivated repeatedly. 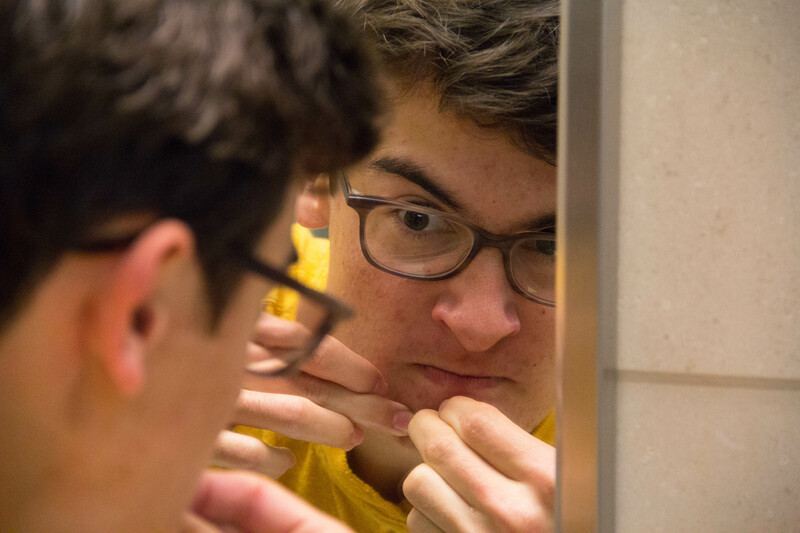 Besides being painful and itchy, cold sores can cause a fever and make you feel self-conscious. While not yet concretely confirmed, in addition to being a powerful anti-inflammatory and anti-oxidant, CBD oil also possesses anti-viral properties. Usually, people prefer to apply infused topical CBD creams and ointments directly to cold sores, however, using CBD in the form of oil tinctures is a smarter way. This is because oil tinctures pack more CBD molecules in a smaller volume and are more potent than creams. Consequently, oil tinctures fight HSV-1 pathogens and clear up the inflammatory-induced sores and blisters at a quicker rate. To use CBD in the form of oil tinctures, simply apply it to the affected regions and massage gently for about 90 seconds to allow proper absorption. If you’re planning on using CBD oil for any skin problem, or even in general, make sure to pay close attention to the product you’re picking. For the past three years, the FDA has been issuing letters of warning to many companies for touting “CBD oils” that contain nominal amounts of active cannabinoids, thus duping customers. Always talk to your doctor before going down this relatively new path of treatment. Above all, stay vigilant, stay safe! Joy Smith is a speaker, mentor, and entrepreneur. After trying a number of poor quality CBD products, she teamed up with her family to develop an organically grown, full spectrum hemp oil to help people suffering from several ailments.